I’m sooo proud of you! Now let’s give your product the presentation it deserves! 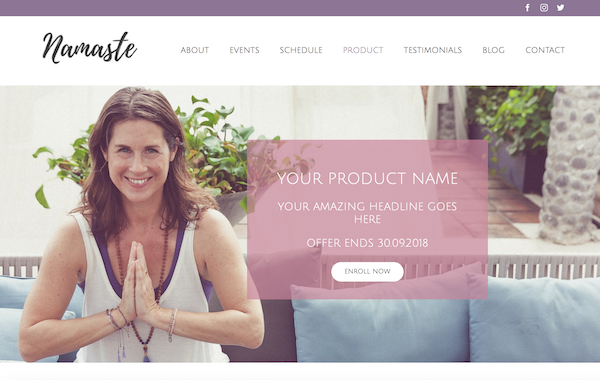 In this post, I’m going to be showing you how to create a sales page for your product based on the template I developed for my Build Your Yoga Website course. 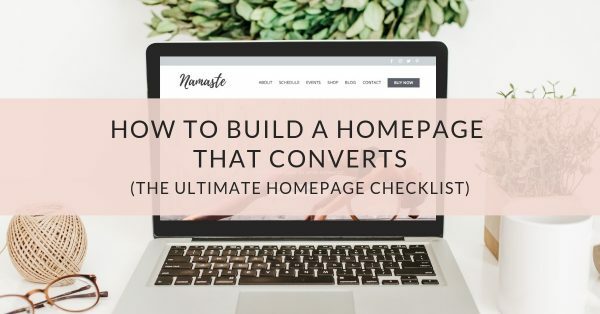 On your header, you should include a headline with your product name and a sub-headline which gives a deeper look at what they can expect from the course. A sub-headline is especially important if your product name is not really descriptive of what the product actually entails. Adding a video where you introduce your product yourself by speaking into the camera is super helpful to build trust. Trust me, I know it can be overwhelming and scary to film yourself. It’s something I always plan to do and then I don’t get around to it… Do better than me and add a video! What are you specifically going to help your clients be / do / or have as a result of working with you? What is the specific, tangible desire that your offer will help them achieve? You want to paint a picture of what’s truly possible. This is your chance to relate to your audience by letting them know how the information in your product will help them in some way. Bottom line: aim to convey the value of your product. What does your target client’s situation look like right now? What are they struggling with? What is the result that they’re currently getting that they don’t want? Show them that you understand. What is your offer? What is included from start to finish? What are all of the features + benefits? How is it organized? This is where you show people what you’ve created. People are much more likely to purchase your product if you tell them exactly what they can expect to learn. If you’re creating an eBook, share the table of content. If it’s a course, let them know which modules they’ll be getting. Show your price and payment options and add your first enroll button. 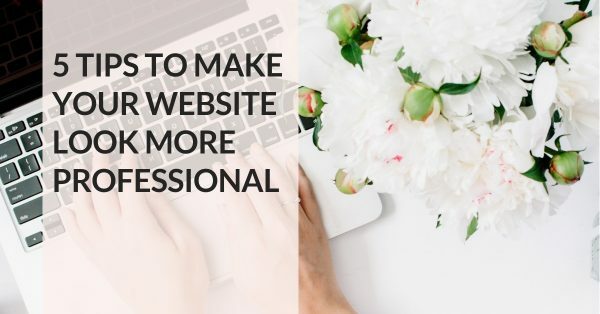 If you are going live with your sales page before your cart is open, you can also offer a waitlist that people can sign up to. Testimonials, or social proof, are super important. Before someone feels comfortable buying your product, they need to see that others have enjoyed your product already. Show 2 to 3 success stories or testimonials. 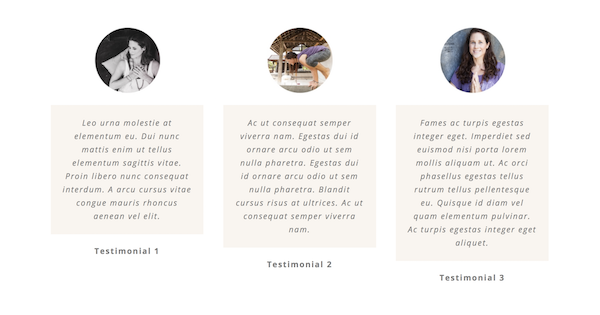 If possible add photos of the testimonial giver because it’s easier for visitors to relate to their success when they can actually see what they look like, rather than simply reading a block of text. It feels more personal and relatable. You can also add screenshots from Facebook, YouTube or Twitter. If your customers are talking positively about your product, then you want to add that comment to your sales page. If you don’t have testimonials yet because you haven’t sold your product yet, you can use feedback about your other services instead. You can also do a beta test of your product before your launch. You give your product to friends or good clients for free and they then test it out and give you feedback that you can use as testimonials. Selling an online product is all about selling YOUR expertise. 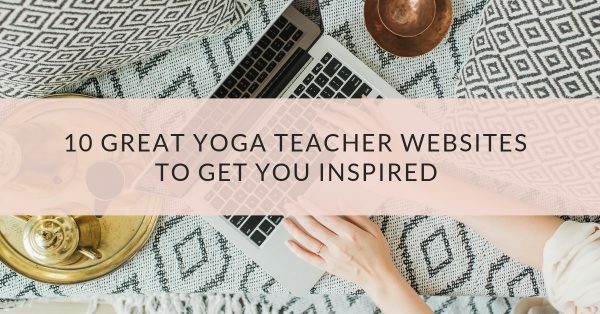 In order for your students to truly believe that your product works, they need to hear more about who you are and why you’re fit to actually be teaching this. What kind of results has this product produced in your own life? How did you get there? What benefits are you reaping now? What experience do you have overall? Here you want to address your potential buyer’s biggest hesitations to saying “yes”. What’s going on in their mind when they talk themselves out of buying your offer even though they totally want it? How are you going to response? Add some more testimonials if you have them. Offering a guarantee is a great way to remove potential buyers’ hesitations, especially if you’re new to business. It might sound a little nerve-wracking, especially for digital products where someone could easily buy it, use it, and then “return”. Luckily, if you create a good product and offer real value, then refunds will be extremely rare. Don’t worry, my friend! Here you answer any questions potential clients might have about the product. Add your final enroll button together with your price, what’s included and any other payment information you deem necessary. Now what happens when someone clicks on your enroll button? You can link to a form on your website where your client fills in his or her address details and then comes to a PayPal payment page (if you have a WordPress website: I use the plugins ‘Contact Form 7’ and ‘Contact Form 7 – PayPal & Stripe Add-on’ for this). You could also simply add a PayPal payment button instead or use a tool like ‘SendOwl’ that helps you sell your products online. Now it’s your turn! 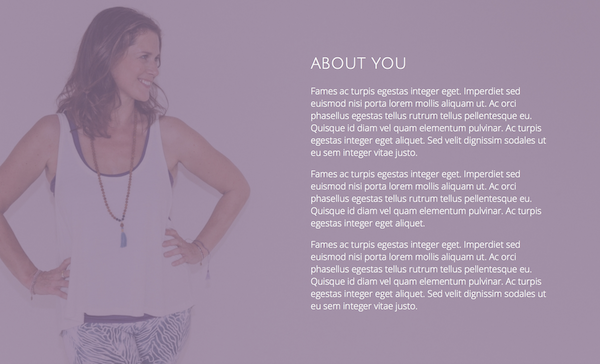 Check out the yoga website template sales page as inspiration. 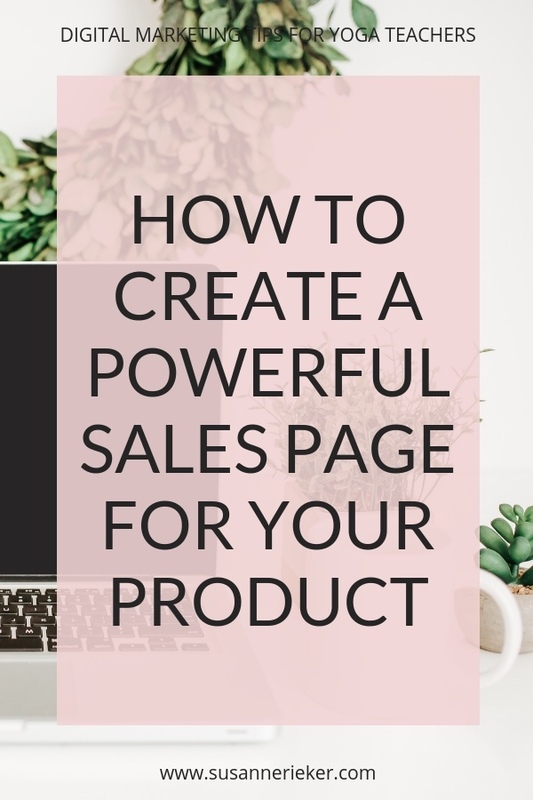 If you already have a sales page share your link in our free Facebook group and I’m happy to give you feedback!